You would like to report someone’s profile on a social network website but you don’t want to be identified by other person? We got a similar question for Facebook from a user of us. We will tell you if can someone find out who reported them on Facebook on this page. We will also mention about the process which will take place after your report. If you have any questions about reporting accounts, you can let us know. You can also get information on how to report accounts on Facebook on this page: How to Report Fake Accounts on Facebook. You can also check this page: Are Reports Anonymous on Facebook ? Is There Any Other Way That to Learn Who Reported? There can be several reasons to report an account. Generally people would like to report fake accounts and inappropriate contents on Facebook. However they don’t want to be in trouble because of reporting their friends or family members. They don’t want to be identified. If you would like to someone can identify you after report him/her, you are wrong. People won’t able to know who has reported their account. All they know will be that their account has been reported. You will also get notification from Facebook support with the result of your report. 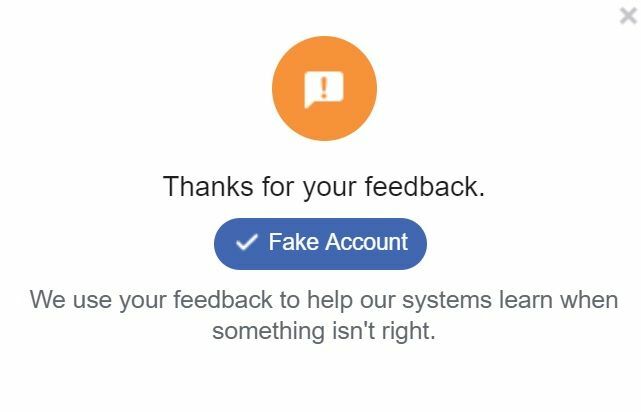 If you have seen a fake account of you, you can follow this guide on here: What Should You Do If You See Your Fake Account on Facebook? So no one can find out who reported their Facebook account. They will only know that someone reported their picture when they picture removed. Or they will get notified when their fake account has removed. Facebook staff will not tell them who has reported their account. When you reported a picture, you will know that what will happen to picture. If it is removed by staff or by users, you will get notification for this. When you report a fake account, you will also get notification that what will happen to fake account in the result. There is not any third party stuff that others can learn who reported their account. Facebook has closed their data to all third party stuff for a while ago. So we don’t think that, there will be any trick to do this. So you don’t need to worry this at all. If you have any questions for those third party apps or softwares, you can let us know. See: How Do You Make a Legal Fake Facebook Account?